MY08 Mercedes Benz E350 Elegance Update Indium Grey Metallic On Special Order Nappa 2-Tone Cream Interior Immaculate Condition. Full Authorised Service History, As New Condition, Highly Optioned, Updated V6 Engine with 7-Speed Transmission. 1998 Mercedes Benz SL500 Flawless Condition, Finished In Blaushwartz on Cream, Full Mercedes Benz Service History and all Documents, Presents as New. Last of the series with all updates present, this is the finest example we have ever had on offer. Definitely one for the serious collector, the most handsome aesthetic Mercedes has created to date. Extremely low kilometers, meticulously maintained, correct machined alloys but we also have the evolution 2 series 17inch Mercedes alloys on offer. All paraphernalia included in sale. Full set of original books untouched tool kit and first aid kit with holster. Original Hirschman antenna paraphernalia with original test cassette and lubrication wipes. .
Hard Top, Soft Top, Australian Delivered and Complianced, Multiple Outright Concours Winner, Numerous Awards and write-ups, Full Books and History Files, Triple A1 Rating. More photos and Documentation to come. 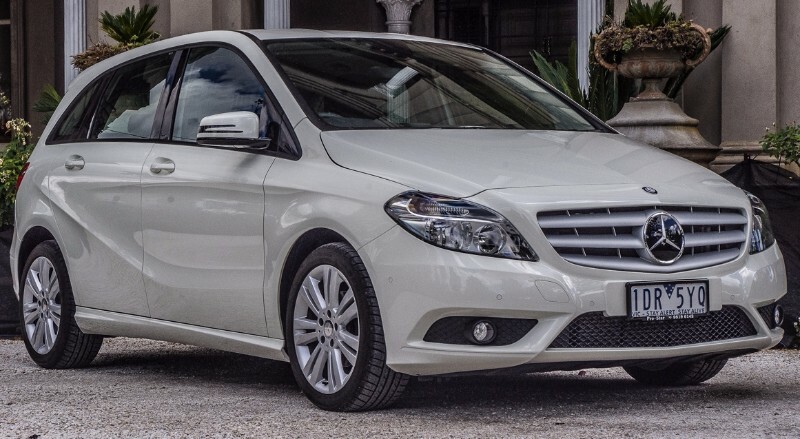 2011 Mercedes Benz B180 As New Condition, Balance Of New Car Warranty, Mountain Grey on Anthracite, Fully Authorised Service History, Stunning Sports Tourer. 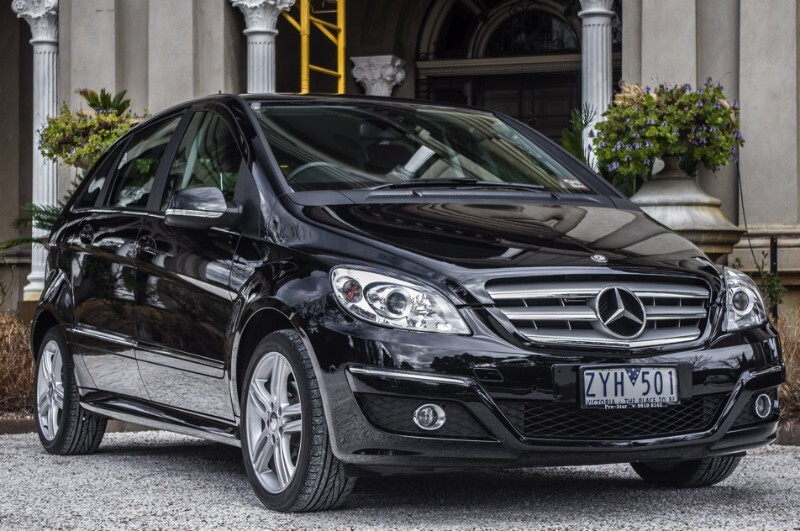 2011 Mercedes Benz B180 As New Condition, Balance Of New Car Warranty, Cosmos Black on Anthracite, Fully Authorised Service History, Stunning Sports Tourer. 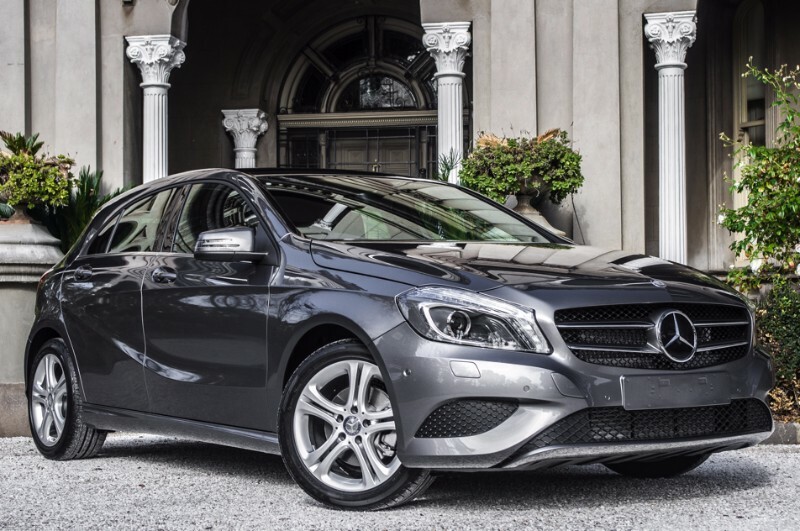 2013 Mercedes Benz A180, Highly Optioned, Stunning Metallic Mountain Grey On Sports Anthracite Interior. 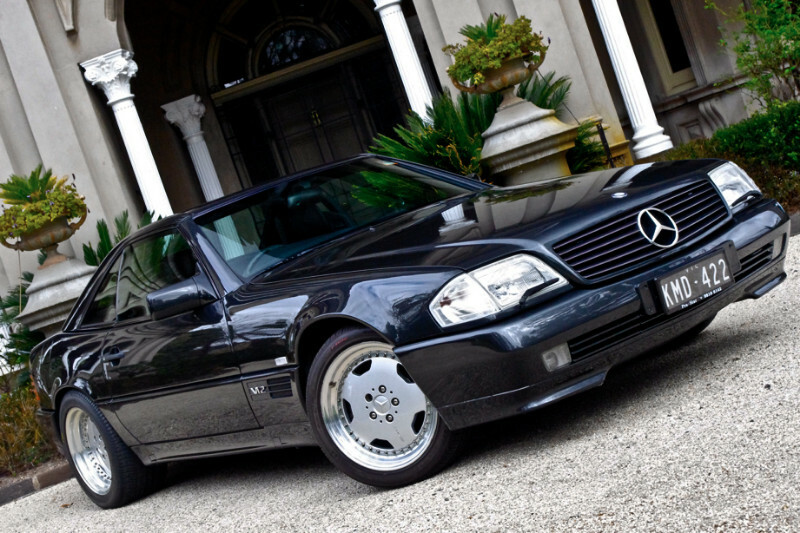 1998 Black Mercedes Benz V12 SL600. The Last Great Powerhouses Mercedes Ever Produced. 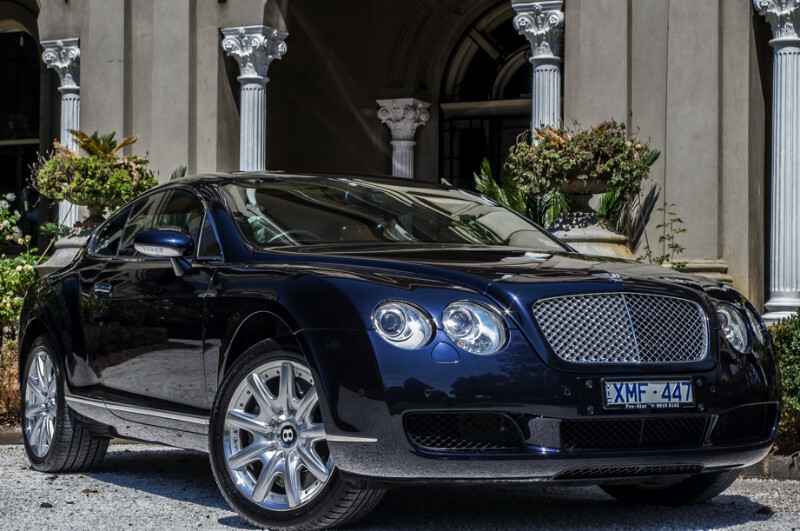 Fully Optioned, Extremely Rare, Australian Delivered, Full Authorised Genuine Service History. Flawless Obsidian Black Exterior With Black Supple Leather Interior, (not mb tex or the coarse leather used in the SL 60 AMG). Quad Cam 48 valve Engine, the 2003 model only had 3 valves per cylinder making this engine faster than the sl60 AMG(8 Cylinder). Undoubtedly the best example in Australia. Very Handsome lines, sleek, powerful, and the flagship of Mercedes Benz German Engineering. Note: All Options are from the factory making this a completely unmolested rare example. -Low KM 85165 -Full Panoramic Glass Sunroof -Retractable Convertible Roof -ESP(Electric Stability Program) -Quad Cam 48 Valve V12 -ADS Damper Control -Fully Active Adjustable Shock Absorbers -Electric Ride Height Control -Electric Memory Seats -Heated Seats -Multi SRS Airbags -Electric Climate Control -Exclusive Full Black Supple Leather Interior -Bullet Proof Engine, Mechanically Perfect -10 Disc CD Stacker -Much More... Much Smarter than a Ferrari or Lambogini, without the tacky aesthetics with the Power to Match. The Most Powerful Production Sports Car Of Its Era. $370,000+ When New. 1971 Mercedes Benz 280SE 3.5 Automatic Black on Cognac, Factory Behr Air Con, Factory Sunroof, Factory Windows, Floor Shift, A truly handsome example of the ever appreciating pillar-less coupe. Finished in the most sought after colourway and optioned with features rare for the period this vehicle presents magnificently. Just 245 were produced with right-hand drive, most going to England and just a handful ever arriving on these shores. 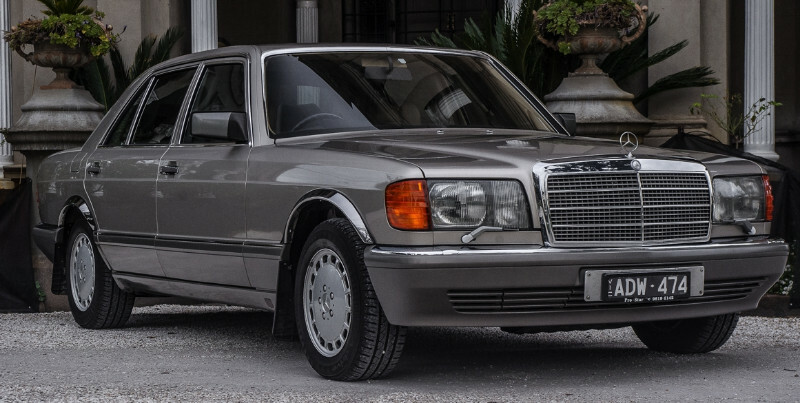 Today, the 280SE 3.5 remains the most desirable variant of the collectable W111 range and can still be enjoyed on a daily basis, such was the level of technology and engineering found on these cars. We are an Established independent dealership that has been operating for over 30 years. 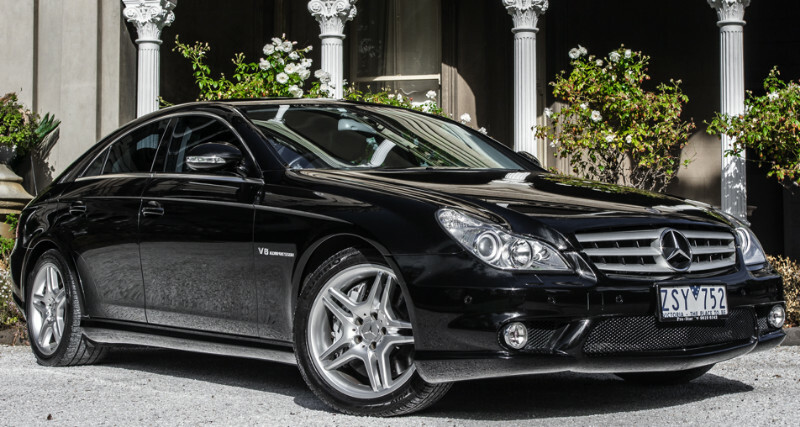 We deal Exclusively with the entire gamut of Mercedes Benz Vehicles, Late Model, Young Classics and Classics. We have an On-Site Service Department, Parts Department and Showroom to Accommodate all things Mercedes Benz and Provide the Best Possible Service in all areas. Contact us today for a Test-Drive and rest assured with the knowledge that after sales service is our priority. Mercedes Benz 1970 280SE 3.5 Pillerless Coupe, Factory Sunroof, Completely Original Immaculate, 3rd Owner, Extremely Rare W111. No Big Description, rare factory specifications, completely original a timeless classic. Sleek handsome lines. 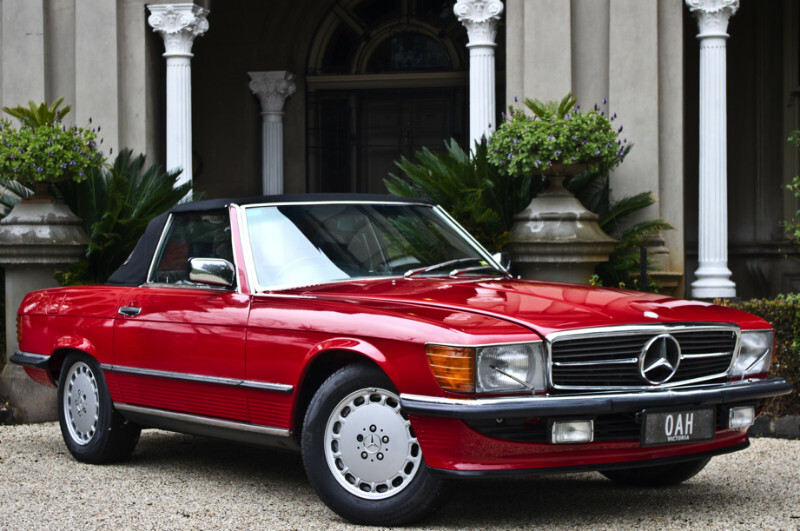 One of the most collectible Classic Mercedes Models with prices regularly in their hundreds of thousands. The vehicle has several factory fitted options including Electric Sunroof, Electric Windows, Metallic Paint, Full Leather Interior, T-Bar Auto Transmission. The vehicle is also fitted with air-conditioning. A 2 Year Warranty is included and the car is in Mechanically and cosmetically pristine condition. The leather has a lovely patina and the paint is immaculate. Immaculate Porsche 993 Carrera 4S, 6 Speed Manual, Australian Delivered, Highly Documented Pedigree with All Books, Highly Optioned, Low Kilometer, The Best Available. Sold and Serviced by Porche Melbourne with full documentation, immaculately presented, the last of the air cooled engines, highly sought after in spectacular ocean blue colour-way and very rare 4S model designation. Full Electric Seats, Heated Seats, Sunroof, Immobiliser, Bridgestone Potenza Tyres, Carrera 4S Callipers ect. Fastidiously Maintained, New Disc Rotors and Pads Front and Rear Axle, Excellent Engine Tone, the car drives and handles like new. BENTLEY CONTINENTAL GT COUPE V12, travelled only 46100KM finished in stunning Dark Sapphire Metallic with special order nappa Safron leather interior and hood lining, Birds-eye Maple wood interior trim, fully optioned, including full extended leather package, GPS, TV tuner, Reversing Camera, 2 piece 19" GT wheels, full phone and bluetooth, aero-wing automatic spoiler, ect. Meticulously maintained and detailed quarterly by private detailer, seldom driven, part of a private collection, just had its major service(45000km) completed. In absolutely impeccable, immaculate condition the vehicle presents itself as new and is ready to be delivered to its new owner. 1969 Mercedes Benz 280SL Automatic in Pristine Condition. Sparkling Gold Paint with Original Characterful Black Interior in Elephant Skin Grain, Hard Top and Soft Top. As Traded. Designed by the legendary French Automotive designer Paul Bracq, the W113 280SL is considered by many to be the high point in Mercedes engineering excellence. 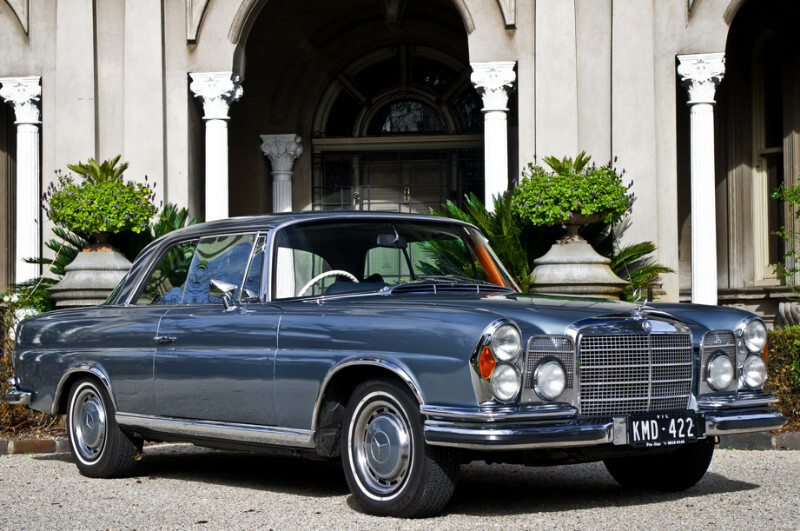 Introduced in 1967 the 280SL became the flagship model of the W113 series sports coupes Mercedes Produced. It included as standard an oil cooler, disc brakes, stiffer sportier suspension and an uprated cylinder bored to displace a total of 2.8 Litres. Increased performance and torque, with a smoother ride were the result making the 280SL the most collectable out of the 3 models. This example is in excellent condition and comes with the factory White Pagoda Hard Top and Black Folding Soft Top in remarkable condition. It is a factory Right Hand Drive Car with Full Service History and Records. The White Wall Tyres are in fantastic condition and the interior boasts the original box carpet pattern weave with dark wood accents. The car is very Original and in perfect mechanical order. 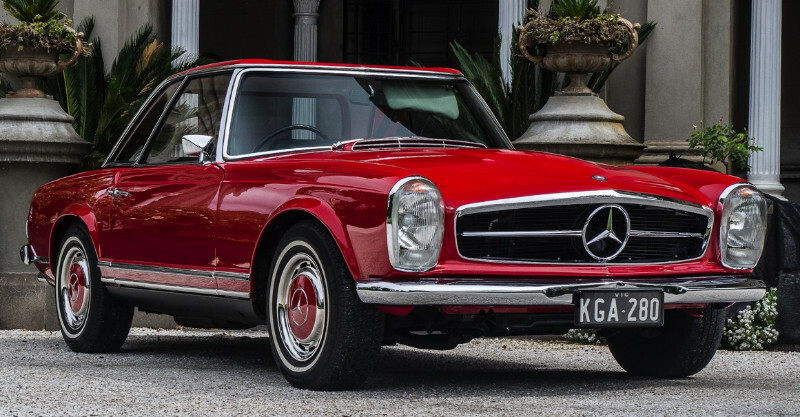 Immaculate Mercedes Benz 280SL Automatic, Hard Top, Soft Top, Full Original Books and History File, Impeccable Pedigree, Low Genuine Documented Mileage, a Collectors Dream. - Factory Rear Headrest - Traveled only 54,567 Kms with Books - Compliance 1970 - New Soft Top Suits the most fastidious buyer. 1969 Mercedes Benz 280SL Factory Right-Hand Drive finished in Signal Red on Black, Automatic, Hardtop, Soft-top, Power Steering, Disc Brakes All Round, fitted with the additional rear seats and air conditioning. A no expense spared, open checkbook, nut and bolt restoration, the best available. 1969 Mercedes Benz 280SL Automatic in Fantastic Condition. Sparkling Signal Red with Characterful Black Interior in Elephant Skin Grain. 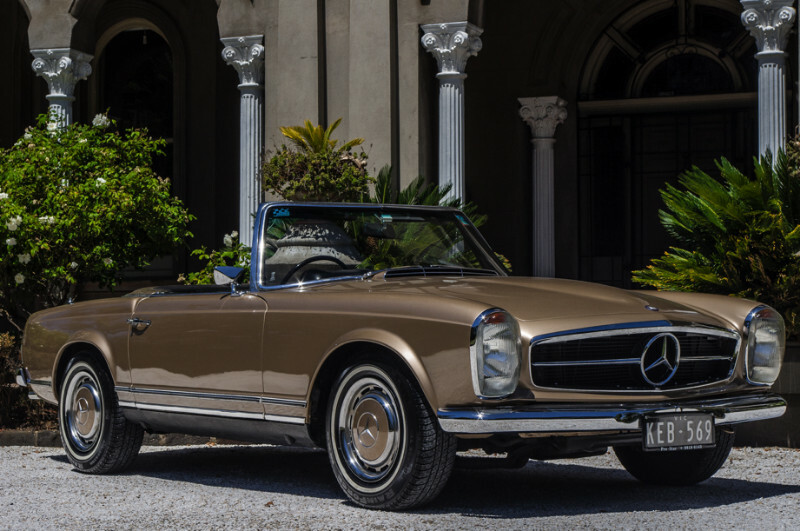 Designed by the legendary French Automotive designer Paul Bracq, the W113 280SL is considered by many to be the high point in Mercedes engineering excellence. 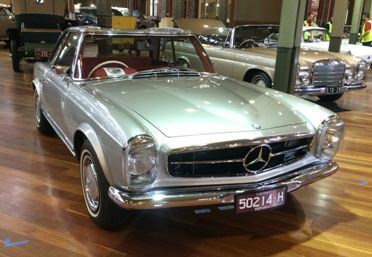 Introduced in 1967 the 280SL became the flagship model of the W113 series sports coupes Mercedes Produced. It included as standard an oil cooler, disc brakes, stiffer sportier suspension and an uprated cylinder bored to displace a total of 2.8 Litres. Increased performance and torque, with a smoother ride were the result making the 280SL the most collectable out of the 3 models. This example is in excellent condition and comes with the factory Red Pagoda Hard Top and Black Folding Soft Top in remarkable condition. It is a factory Right Hand Drive Car. The interior boasts the original box carpet pattern weave with dark wood accents. The car is faultless, with every nut and bolt having undergone meticulous restoration, cadmium plating throughout, further a no expense spared air conditioning system has been installed making this a true weekly driver. This is a fully Concorse Presented, no expense spared, full nut and bolt restoration, 1958 right hand drive 190SL. Australian Delivered 3rd Owner, Impeccably presented it has only travelled 66000 miles. has all matching numbers and related documents. Finished in flawless Mercedes White with Congac Interior it shows a subtle patina. It has an immaculate German soft-top in fantastic condition. It also has the rare hard top option that most of the 190sl's world wide are missing and is essential to any serious collector. The interior is true to its original factory specifications with the genuine Mercedes moulded rubber mats in place as well as the square weave carpeting in A1 condition. 190sl's never came with carpet on the front cabin floor space or trunk. It comes with its original tool kit and canvas roll pouch, original spare wheel, jack and wheel brace. The car drives immaculately and also has its original solex carburettors. The transmission is smooth with no clunks or slipping and is an absolute pleasure to drive. All features are working, all vents slides are smooth, all gauges show the correct data accurately, the speedometer has recently been calibrated by VDO, all lights operate as designed as are all components in the car. Exceptional pedigree, extensive documentation, Australian delivered, RHD, both Hard Top and Soft Top, matching numbers, sought after colour-way, flawless condition, all period correct factory details it will suit the most fastidious buyer/collector. Note - Original Radio has now been fitted to vehicle. 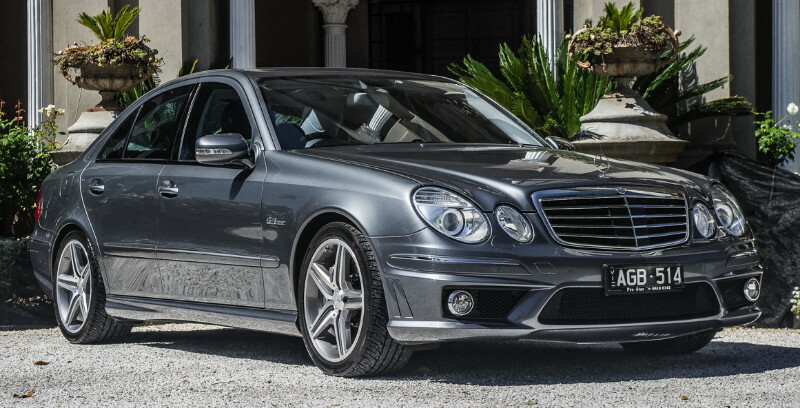 Buy from a 40+ year established Independent Mercedes Benz Specialist dealing exclusively with Mercedes. 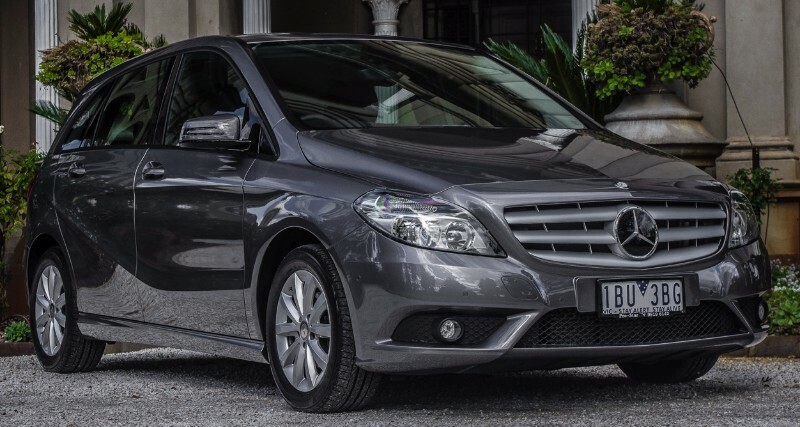 Every vehicle is checked by a Mercedes Benz Trained Factory Mechanic so rest assured in your investment. 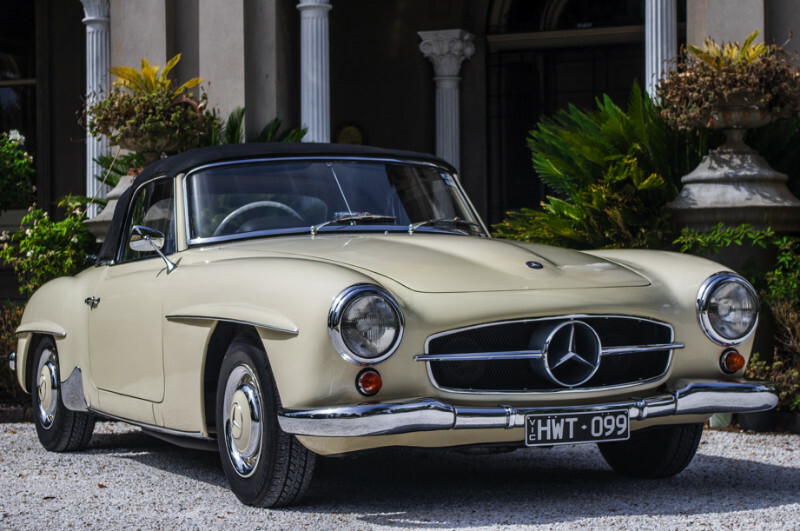 This 1961 right hand drive 190SL was first registered in Victoria in 1961. Impeccably presented and Australian delivered it has travelled a mere 102584 miles, has all matching numbers and related documents ( including original registration number plates). In fact its history is documented in 2 very large binders full of hand written notes and receipts, a testament to its last owner of over 35 years. Finished in flawless Mercedes Signal Red with original Schwarz interior it shows a subtle patina. It has an immaculate German soft-top in fantastic condition. It also has the rare hard top option that most of the 190sl's world wide are missing and is essential to any serious collector. The interior is true to its original factory specifications with the genuine Mercedes moulded rubber mats in place as well as the square weave carpeting in A1 condition. 190sl's never came with carpet on the front cabin floor space. It comes with its original tool kit and canvas roll pouch, original spare wheel, jack and wheel brace. The car drives immaculately with all its original components, mechanical fuel pump, solex carburetors. The engine has not been media blasted or detailed, a testament to how well maintained this car is. The transmission is smooth with no clunks or slipping and is an absolute pleasure to drive. All features are working, all vents slides are smooth, all gauges show the correct data accurately, the speedometer has recently been calibrated by VDO, all lights operate as designed, the seats have not been reupholstered or padded but are well supported and full of character. Exceptional pedigree, extensive documentation, Australian delivered, RHD, both Hard Top and Soft Top, matching numbers, sought after colour-way, flawless condition, all period correct factory details it will suit the most fastidious buyer/collector. With the phenomenal success of the race bred 300SL the opportunity presented itself for Mercedes to capitalise on an aspirational audience. The result was the smaller 190SL which still maintained many design cues from the more exotic 300SL, most notably the unusual eyebrows over the wheel arches. 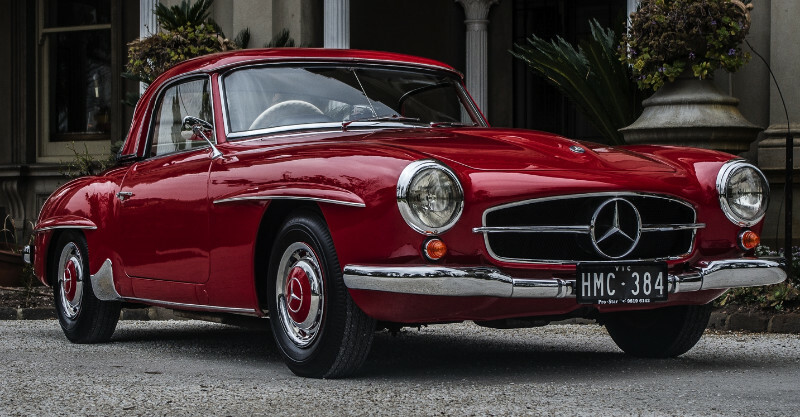 This 1962 right hand drive 190SL was first registered in Victoria in 1963. The most highly original car in Australia, it has traveled only 66,000 miles, has all matching numbers and related documents ( including original registration number plates). Finished in Ivory with completely original BlauSchwartz interior it shows the subtle patina of its 3 previous owners. It still has its original waterproof German soft-top in fantastic condition. Kept in the Pine Ridge Auto Museum for some 12 years whilst the owner was overseas, the car has been well maintained and used regularly and has an impeccable pedigree and history all documented. It comes with its original tool kit and canvas roll pouch, original spare wheel, jack and wheel brace. The car even has its original Mercedes stamped foot pedals which shows just how well kept this car is. The car drives immaculately with all its original components, mechanical fuel pump, solex carburetors. The engine has not been media blasted or detailed, a testament to how well maintained this car is. The only component that is not original is the battery which has been replaced with a type of the era. The transmission is smooth with no clunks of slipping and is an absolute pleasure to drive. All features are working, the manual wind clock keeps immaculate time, all vents slides are smooth, all gauges show the correct data accurately, the speedometer has recently been calibrated by VDO, all lights operate as designed, the seats have not been reupholstered or padded but are well supported and full of character. We haven't seen a more original, better documented or better running car and its finished in the highly sought after ivory colourway. 1960 Mercedes Benz 190SL Roadster Immaculate Midnight Blue on Parchment, Stunning Vehicle. 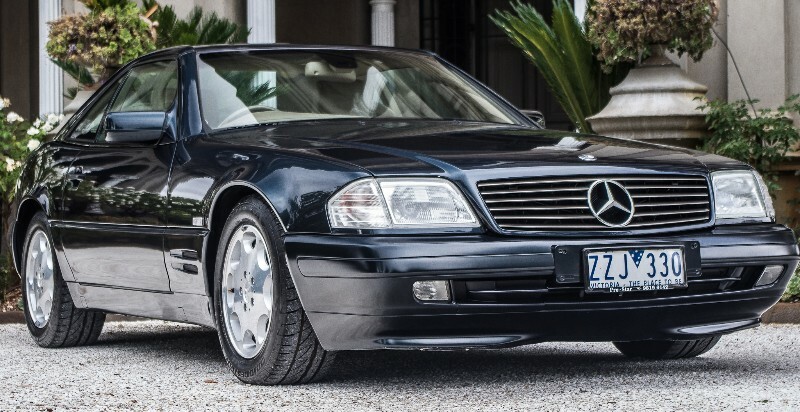 1989/1990 Series 2 Mercedes Benz 300SE Concourse Condition, 1 Elderly owner, Impeccable Pedigree, Full History with all original books and tools The Absolute Best In Australia. Highly desirable Colour-way, the vehicle presents as new with all documentation present detailing the minute kilometers traveled. Not a mark on the usually deteriorated dual firewall, sill plates in remarkable condition, under chassis components show little to no wear, drives like it just left the factory. 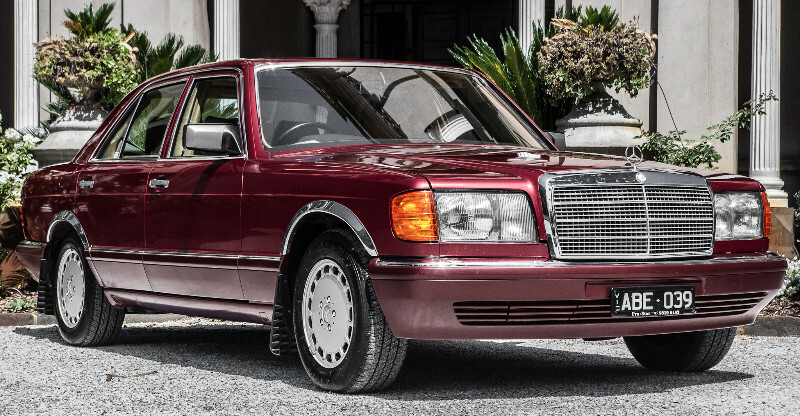 Built in a time where quality was paramount and no exemptions were made this particular example showcases why Mercedes Benz in this era were highly over-engineered. Finished in Almandine Red Metallic on Dual Cognac/ Tobacco leather interior with chrome accents and wood grain trimmings. Optioned with Electric Seats, Electric Sunroof, SRS Air Bags. Climate Control, ABS Brakes, Self Levelling Suspension ect. Genuine Enquiries Only. 1990 Mercedes Benz 420 SEL, Magnificent Condition, Full Documented History, Highly Optioned, Extremely Low Kilometers, Astonishing Pedigree. An immaculate example of the V8 Flagship model, used by diplomats the world over. Over engineered in an era where Mercedes Benz built their vehicles to last. The vehicle presents as new and we have never come across a better example, included in the sale are all documentation, including the original sales docket detailing the $155,000 purchase price. Optioned with electric memory seats, SRS Airbags, ABS brakes, Sunroof, Electric Windows...ect. Truly one for the most fastidious collector, The original wax spray can be seen on the under-chassis and engine bay, a procedure used when transporting the vehicles across sea from Germany. This is an Australian delivery original right hand drive example with an up to date service history. This two owner SL Convertible has traveled just 89,000 Kms and comes with Fully Documented History. Please note - photo 5 is a correct representation of the rich metallic blue colour as some of the photos were affected by sun fade. The Mercedes-Benz 280 SL was designed by Paul Bracq a young Frenchman who had studied at art school in Paris and worked for the industrial designer Philippe Charbonneaux. Bracq joined Mercedes-Benz in 1957 and his first major project was working on the Model W113 launched in 1963. The SL stands for Super Leicht or Super Lightweight. The distinctive 'pagoda' roof is in fact a safety feature providing greater rigidity and protection in the case of an accident. 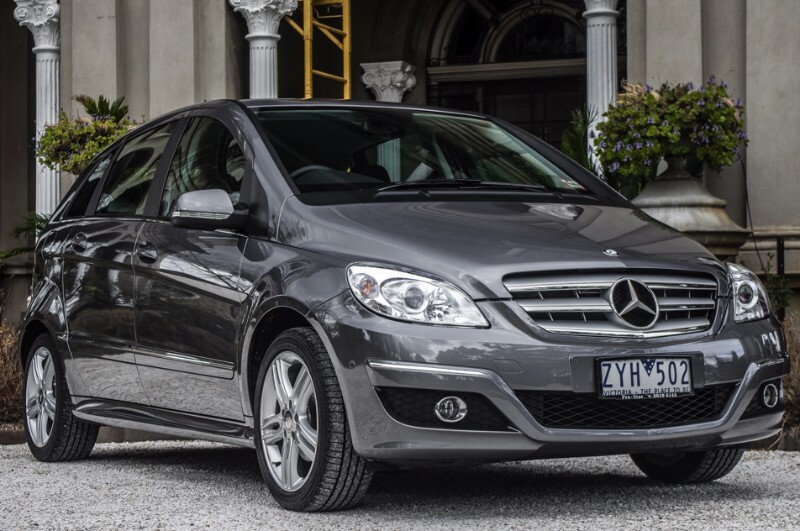 Outright Winner 2014 Mercedes Benz Car Club of Victoria Concours d'Elegance. Restoration,Most popular convertible. In the same year this vehicle was seen at the 2014 Motorclassica. In 2015 it was winner of the Mercedes-Benz Concours d'Elegance and judged Champion of Champions, whilst also taking outright honours at the 2015 Royal Automobile Club Victoria, (Mornington Show). 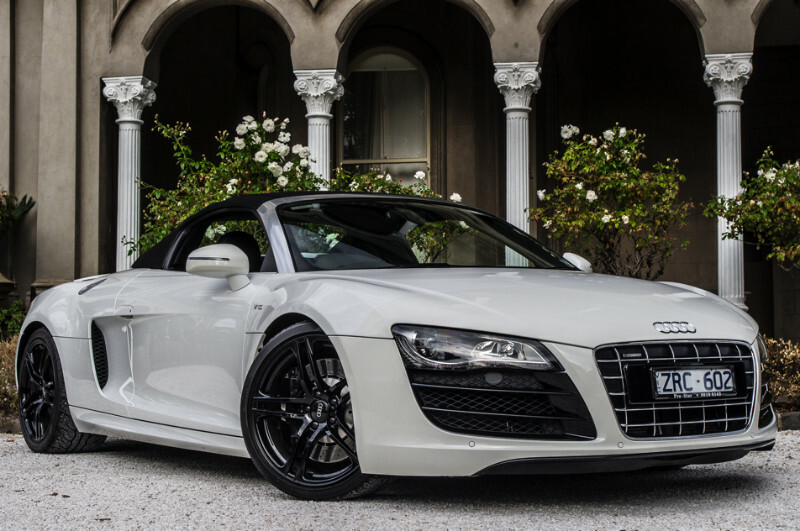 The vehicle has no soft top, is Australian Delivered, has no service books and was recently sold at the 2015 Motorclassica for $210,000 Australian Dollars plus buyers premium for a total of $240,000. 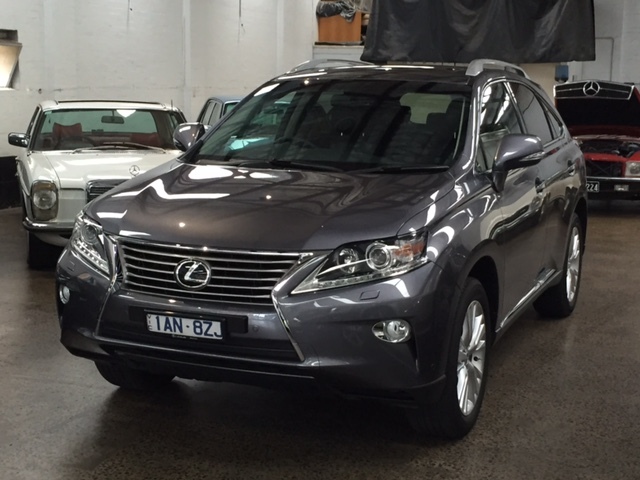 Immaculate as new condition 2014 Lexus Luxury Enhancement Package. Finished in stunning metallic grey on anthracite leather, it is highly optioned and in pristine condition. We are an Established independent dealership that has been operating for over 30 years. 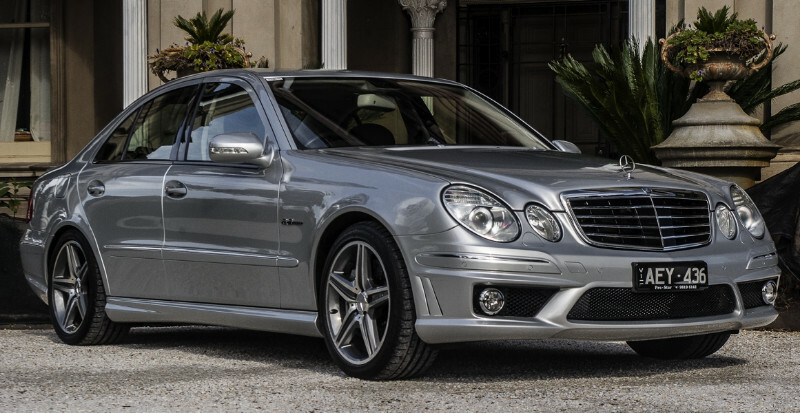 We deal Exclusively with the entire gamut of Mercedes Benz Vehicles, Late Model, Young Classics and Classics. We have an On-Site Service Department, Parts Department and Showroom to Accommodate all things Mercedes Benz and Provide the Best Possible Service in all areas. Contact us today for a Test-Drive and rest assured with the knowledge that after sales service is our priority.